This episode we discuss experiences with the Samsung Note 5 & Galaxy S6 Edge+, Spark’s Morepork smarthome security, TomTom Bandit (GoPro competitor), TPP Agreement, the so called Netflix tax and CodeBlue’s acquisition by Australia’s CSG. 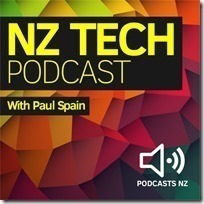 This NZ Tech Podcast hosted by Paul Spain (@paulspain) with guest Bill Bennett. Published by Podcasts NZ – home of NZ’s favourite podcasts.